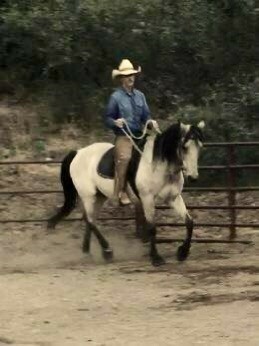 I started studying the mustang model about 11 years ago after one of our young geldings was diagnosed with late stages of navicular disease. We got him when he was five from a guy who had bred him and was training him to rope off of. He’d been shod since he was two or three, had already sustained some leg injuries, and wasn’t performing at the desired level. After we acquired him I continued shoeing him. By the time he was seven his pasterns and heels were collapsed, his toe angles were very low, his soles were thin, and there seemed to be no way to correct the angles with trimming alone because there was no wall growing beyond the peripheral edge of his soles. 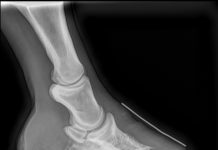 The vet blamed it on poor conformation and recommended EDSS shoes with medium rails and wedge pads. For those who aren’t familiar with these terms it basically boils down to about as much artificial wedging as you can get away with. Typically, it doesn’t get better from there. We gave it a try for three shoeing cycles but realized quickly that Santo was just a different kind of uncomfortable and artificial wedging was giving us the illusion of artificial soundness. After I asked the vet directly what we were to expect he finally admitted that our horse’s future was grim and we would be lucky if we got two more years out of him. This is when I started asking more questions. We found an alternative vet that recommended taking him barefoot and following Jamie Jackson’s and Pete Ramey’s work. I bought their books and jumped into the void. I took Ramey’s advice and burned Jackson’s wild horse hoof model in my brain. It payed off more than I could have imagined. Santo immediately started growing healthier feet and his soundness was improving daily. 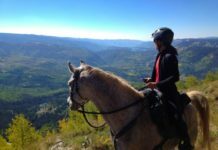 By providing ample movement, managing his feet with physiologically correct trimming, and with the help of EasyCare products, Santo has been ridden comfortably to this day, over 10 years later. 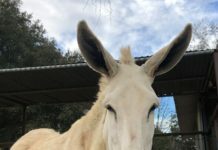 I started applying my lessons to other horses and getting the same results. 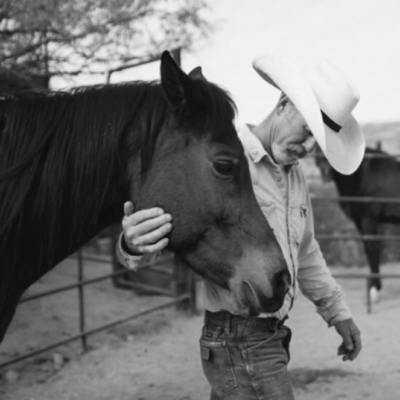 After I’d been rehabbing hundreds of horses for eight years, Pete Ramey came out with his second book, Care and Rehabilitation of the Equine Foot. I’d already been to a Ramey/Bowker clinic and read as much material as I could get a hold of. I labored through Bowker’s chapter, rereading sentences, paragraphs, and pages over and over until I felt like I was comprehending what I was reading. Being under horses full time for the past eight years really contributed to my understanding of the information I was reading and most of it was confirming many of my own realizations. I was really excited to be able to trim during the day and be learning the science of it by night. After explaining my new findings and fears to my wife, she paused for a few seconds and very calmly said, “Ok, but you tell all your clients to board on sand, trim frequently, and to use hoof boots when they ride. You’ve been doing that with all of our horses for years and their feet are beautiful and they move beautifully.” I thought about what she was saying for a few minutes until it sunk in. I realized in that moment that our horses and my clients horses had the best of both worlds. I was relieved and returned to my old mantra that I learned years ago from the same source, “Question Everything.” I continue to have a lot of faith in the healing powers of the Mustang Model and continue to question it, simultaneously, every time I pick up a foot. I also continue to realize more and more, since I started teaching it, that different results come from different perceptions. I also know from experience, that perceptions can change when they merge with other perceptions and that is precisely what keeps us moving forward.